Before class: Read the notes on Nehemiah 4 – 5 found in the Sunday School Teacher Book. Get enough copies of the “Overcoming Opposition” worksheet for your anticipated attendance. Have some pens or pencils on hand for any who might need one. The real value of the worksheet is for the students to take it home so they can refer to it whenever opposition comes their way. Write the word “Opposition” on the marker board or chalkboard. INTRODUCTION (Create Learning Readiness): Direct the class’ attention to the word “Opposition” on the board and ask members to suggest possible definitions. Ask: “Can you name a Bible character who faced opposition while trying to do God’s will?” (they might name Noah, Moses, Elijah, Jesus, Paul, etc.). Ask: “Have you ever, or are you now, facing opposition for trying to do God’s will?” (they might be facing opposition on their job, in their family, through a divorce or family break-up, or even from their Christian friends). Ask: “What impact does opposition have when you are trying to do what God wants you to do?” (it may discourage you, cause you to lose hope, make you quit altogether, cause you to be mean-spirited or irritable, or even make you physically sick). Tell the class Nehemiah was a man who did God’s will despite tremendous opposition. By studying the ways Nehemiah overcame opposition, we can learn how to handle opposition in our lives. Give everyone a copy of the “Overcoming Opposition” worksheet. Remind them that Nehemiah was a Jew whose ancestors had been taken away as captives to Babylon. 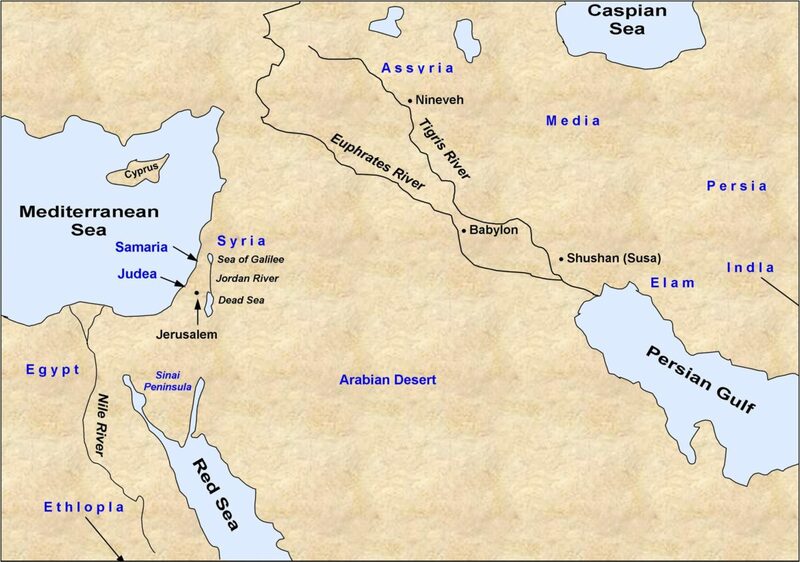 At the beginning of the book, Nehemiah was serving as cupbearer to the Persian King Artaxerxes in the palace at Shushan (locate Shushan on the map). Ask: “What was last week’s lesson about?” (Nehemiah learned that Jerusalem’s walls were still broken down so he went there to rebuild the city walls). Use the Timeline of Ezra, Nehemiah, and Esther to remind the class that the Jews had been back in Jerusalem for almost 100 years, but had not yet rebuilt the city walls. Cities without walls were defenseless – they were a laughingstock. Ask if any volunteer would be willing to recite last week’s memory verse (Neh. 2:20). Remind the class that Sanballat was governor of Samaria (to Israel’s north) and Tobiah was from Ammon (just east of Israel). These men were enemies of the Jews who did not want to see them succeed in rebuilding the city walls. Ask: “How did they oppose Nehemiah and the rebuilding of the walls?” (by ridiculing them). Ask: “What effect does ridicule have on us?” (it can cause discouragement and plant doubt in our minds). Ask a volunteer to read Nehemiah 4:4-6. Ask: “How did Nehemiah overcome this opposition by ridicule?” (he prayed to God). Ask: “According to verse 6, what was the result of praying in the face of opposition by ridicule?” (“the people had a mind to work,” so they finished building the wall up to half its original height). Ask the students to fill in the first line of their worksheets (see the completed sample worksheet at the end of this lesson plan). Summarize: In the face of opposition by ridicule, Nehemiah led the people to pray. The result was that the wall was completed to half its full height. Ask: “What did Israel’s enemies do next?” (they made plans to attack Jerusalem). Ask: “What effect does the threat of attack have on us?” (it can cause us to be worried, fearful, and unproductive). Ask: “According to verse 9, what two things did the Jews do in the face of this planned attack?” (they prayed to God and they set a watch to guard the city day and night). Ask the class to fill in the second line of their worksheets. Summarize: When faced with the threat of direct attack, Nehemiah led the Jews to pray to God for protection and to set guards around the city. Opposition by Discouragement and Fear. Ask a volunteer to read Nehemiah 4:10-12. Ask: “What were the Jews saying?” (we’re too weak, there’s too much debris to be cleared, and our adversaries are going to attack us suddenly and kill us all). Tell the class this was discouragement and fear, which came from within. Ask a volunteer to read Nehemiah 4:13-15. Ask: “What did Nehemiah do?” (he placed armed guards throughout the city). Ask: “What did Nehemiah tell the people?” (don’t be afraid but remember how powerful the Lord is, and be ready to fight if necessary). Tell the class the work on the wall resumed. From that time onward the Jews kept their weapons close at hand while they worked (verses 16-18). Ask the students to fill in the third line of their worksheets. Summarize: In the face of opposition by discouragement and fear, Nehemiah told the people to remember the Lord and he set guards and armed the people in case of attack. Opposition by Selfishness and Greed. Explain to the class that since the Jews were busy working on the walls they couldn’t raise their crops. Because of this they had to mortgage their lands to buy food and pay their taxes. Some greedy Jews even took the children of those who couldn’t pay and made them their slaves. Tell the students that selfishness and greed from within threatened to stop the building of the city walls. Ask a volunteer to read Nehemiah 5:6-7, 11. Ask: “How did Nehemiah react to this situation?” (he angrily rebuked those responsible and told them to give back what they had greedily taken). Ask: “What else did Nehemiah do about this situation?” (he set a good example by paying his own bills so as not to put a greater burden upon the people). Lead the class to fill in the fourth line of their worksheets. Summarize: When faced with selfishness and greed from within his own people, Nehemiah rebuked the wrongdoers and set a good example. PERSONAL APPLICATION: Briefly review the lesson by reading the things the students wrote on the first four lines of their worksheets. Tell the class that while none of us have been called to rebuild the walls of Jerusalem, God definitely has work for each of us to do. Ask: “What are some things God wants us to do?” After they suggest some answers, tell them God wants all of us to read the Bible and pray, attend Sunday School and church faithfully, live right, tell others about Him, and give our tithes and offerings to our church. In addition, He calls some of us to specialized ministries, such as teaching Sunday School, singing in the choir, or ministering to people in nursing homes. Ask: “How can ridicule, attack, discouragement, fear, and selfishness hinder our ability to do those things?” After allowing time for responses, encourage everyone to face opposition the way Nehemiah did: through prayer, watchfulness, remembering the Lord, being vigilant, and setting a good example for others. Lead a closing prayer of commitment to apply those strategies to any opposition we might face this week. CONCLUSION: Ask everyone to memorize Nehemiah 4:6 and to come to Sunday School next week to learn more ways to overcome opposition. Ask them to put their worksheet in their Bible so they will have it for next week’s class session.